It's been awhile since we compiled a "Top 10" for you! 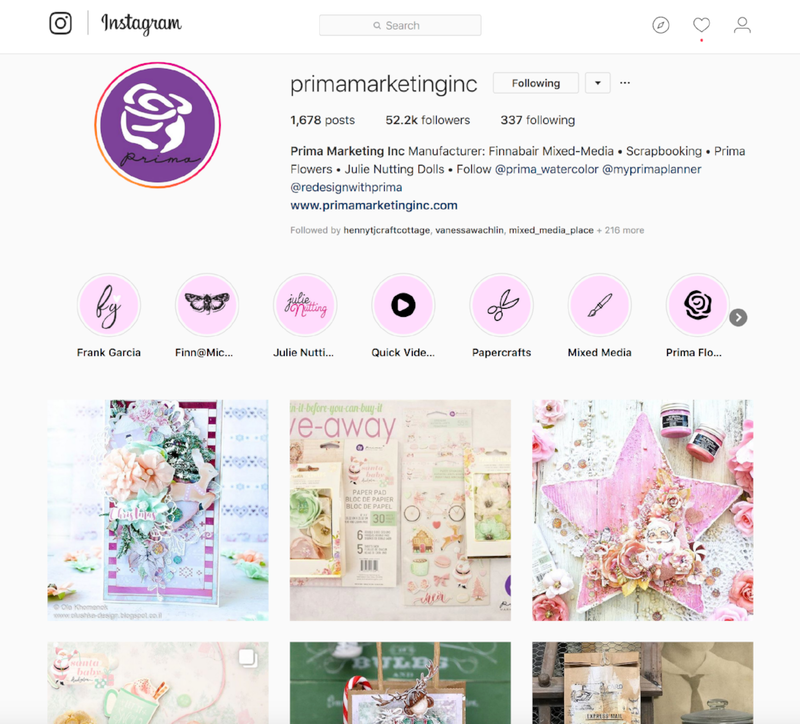 Today we'd love to show off a few of our most-loved projects from our Instagram account for the month of May: primamarketinginc. Now, if we posted our Pinterest or Facebook top ten we would get very different results, but that's the fun of social media, right? Each channel has it's own delights! Back to Instagram - if you want to follow us just click here for fresh inspiration, seven days a week! We often post exclusive content on there that you just will not see anywhere else! We have a tie for tenth place with these two projects! 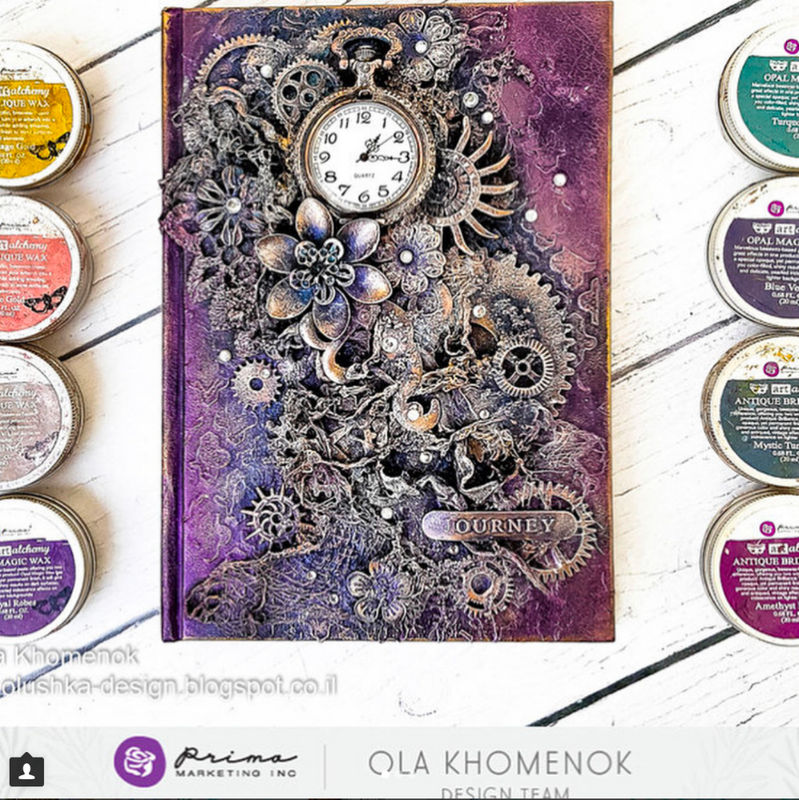 The altered book featuring gorgeous Finnabair Waxes was created by Ola Khomenok and the altered paintbrush featuring Havana was created by Sharon Laakkonen! 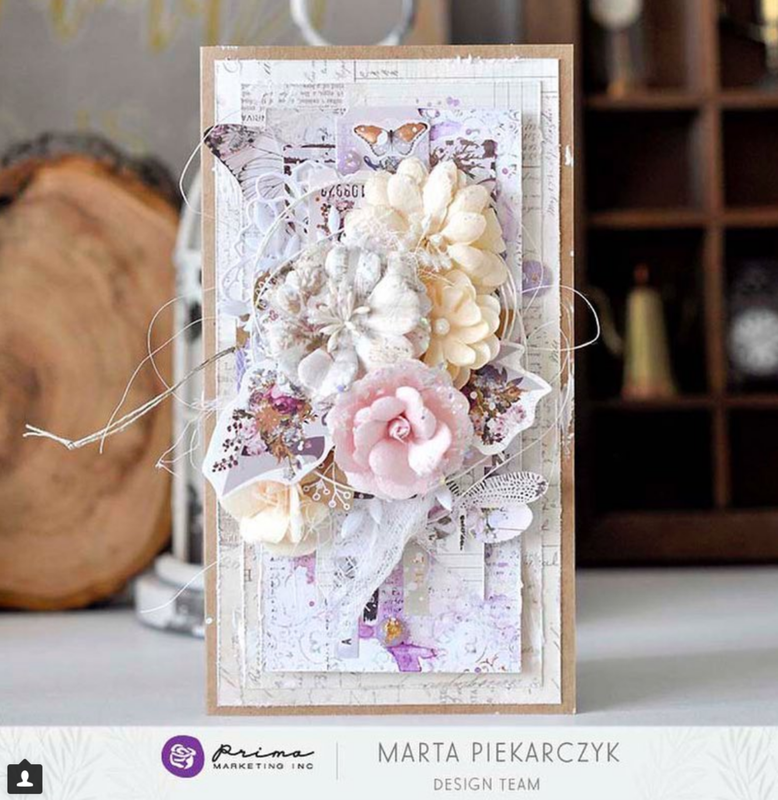 This stunning card by Marta Piekarczyk showcases beautiful flowers, the Lavender collection and touches of watercolor! primamarketinginc🌸 Sometimes all you need is a Prima flower or two! 🌸 created by @piekarczykmarta . What do you get when you mix Impasto Paints and the Santorini line? This gorgeous piece by Nathalie Dalibard! 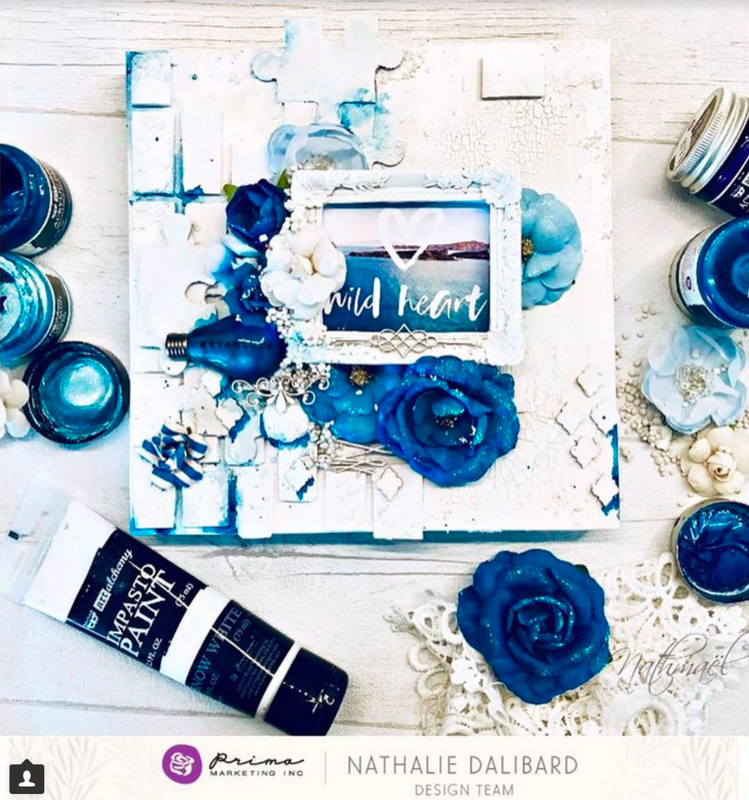 primamarketingincMagical Pond, Metallique Blue, and Midnight Sky are a few of the stunning blues Nathalie chose for her beautiful piece featuring the Santorini collection! . 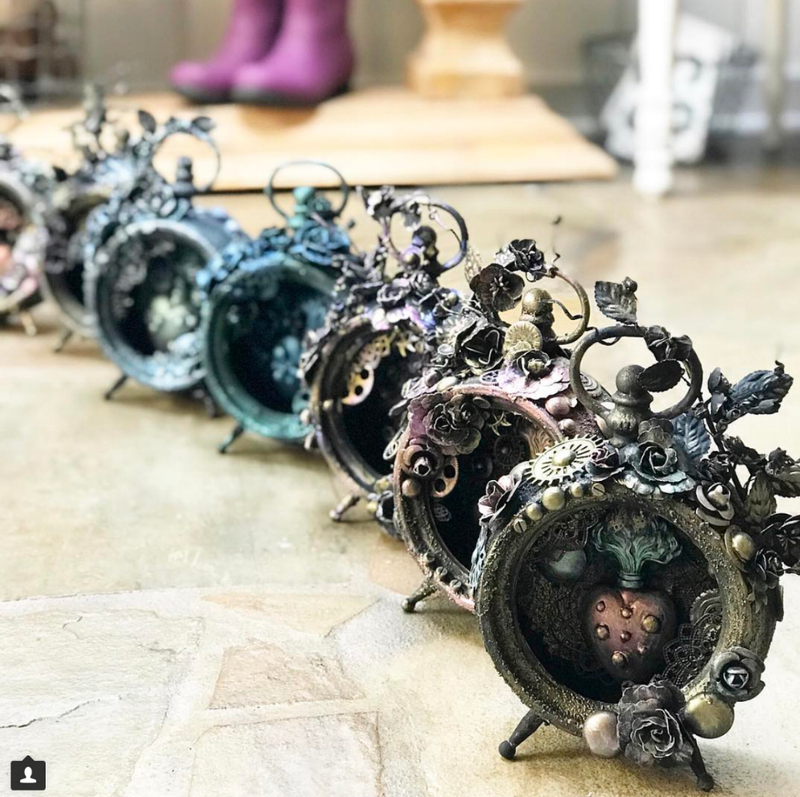 These altered clocks were created in one of Finnabair's wonderful classes. Aren't her students AMAZING? Just look at the results of today’s class: aren’t these clocks amazing? You made me so proud!!! 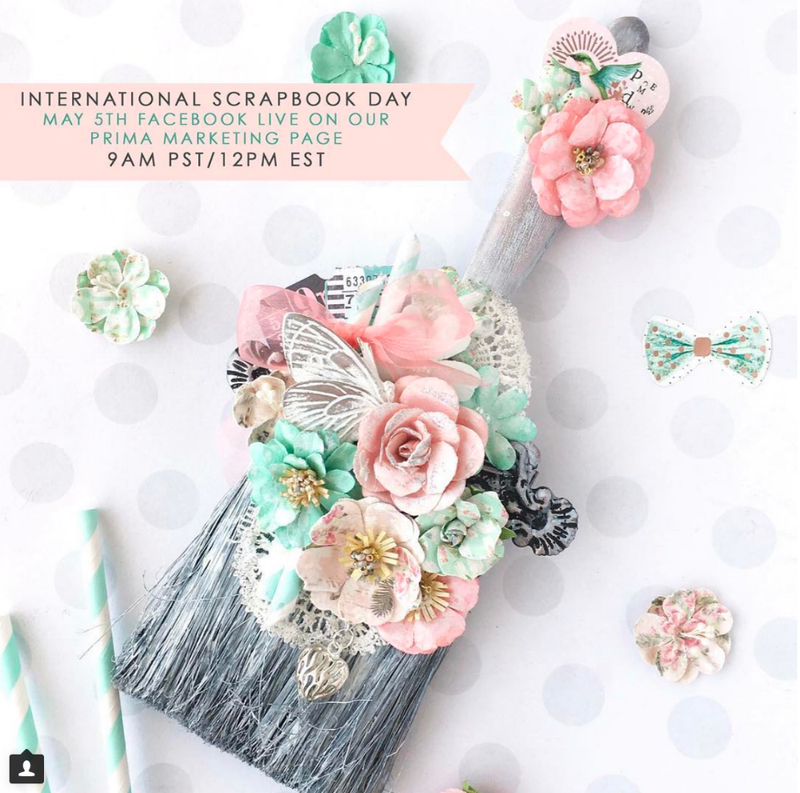 This wonderful altered paintbrush was part of our National Scrapbook Day Hop and created by Nadya Drozdova! This decorated heart shows off Havana beautifully! Created by Stacey Young with watercolors, flowers, and so many fabulous touches! primamarketingincMoms are the best, which means that they deserve the best! Mother's Day is only once a year, so let's love on them with a special handmade project...like this beauty from Stacey, created with Havana flowers and a few other special Prima embellishments! We've got the scoop on this delicious piece, watercolored with Prima's Confections and topped off with Prima flowers...by Stacey Young! primamarketinginc Here’s the scoop! Hobby Lobby will now carry three of our Watercolor Confections sets! In second place is this magnificent altered violin by Ola Khomenok! Breathtaking for sure! primamarketingincIf you are looking for stunning colors, a bit of exquisite shimmer, and beautiful coverage, then slide on over to our Metallique Acrylic Paint selection by Finnabair! Try pairing two or three colors for great rhythm and harmony on your projects! Today our crew is exploring Metallique paints, sharing a few tips for using them, and basically just showing off those gorgeous, gorgeous shades... like Plum Preserves, Frozen Berries, Royal Blue, and Red Wine....a few of the colors Ola added to her musical piece! Drum roll please.......In first place is this magical mermaid created by Stacey Young with Watercolor Confections, Finnabair mixed-media elements, and Prima flowers! We all have a little magical mermaid inside of us, right? Do you have a favorite? We'd love to hear your thoughts + see YOUR Prima projects! Please tag us on Instagram so we can send some love your way!